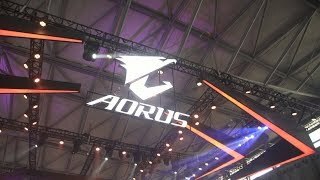 Join us on a quick tour of the massive AORUS booth at ChinaJoy 2017 where attendees got their hands on some of the latest VR and unique eSports game mode challenges powered by AORUS! Check out the fun and excitement co-created by AORUS and our beloved fans during the 4 exciting days at ChinaJoy 2017! Check out AORUS' latest hardware and gears showcased on the ChinaJoy 2017 show floor and enjoyed by the enthusiasts. 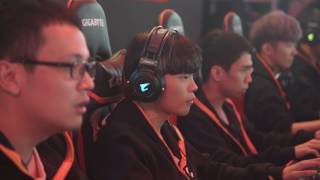 During ChinaJoy 2017, AORUS invited some of the elite League of Legends teams in China to our booth to participate in the AORUS Cup, competing for the grand prize of GTX 1080 Ti graphics cards. Here are some of the match highlights from the AORUS Cup Final!